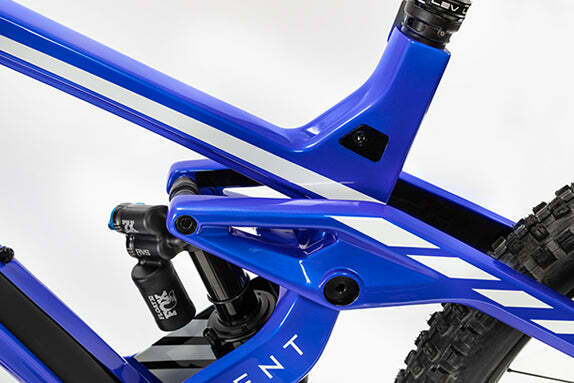 Tight and twisty or airing the gap - this is your style of riding. 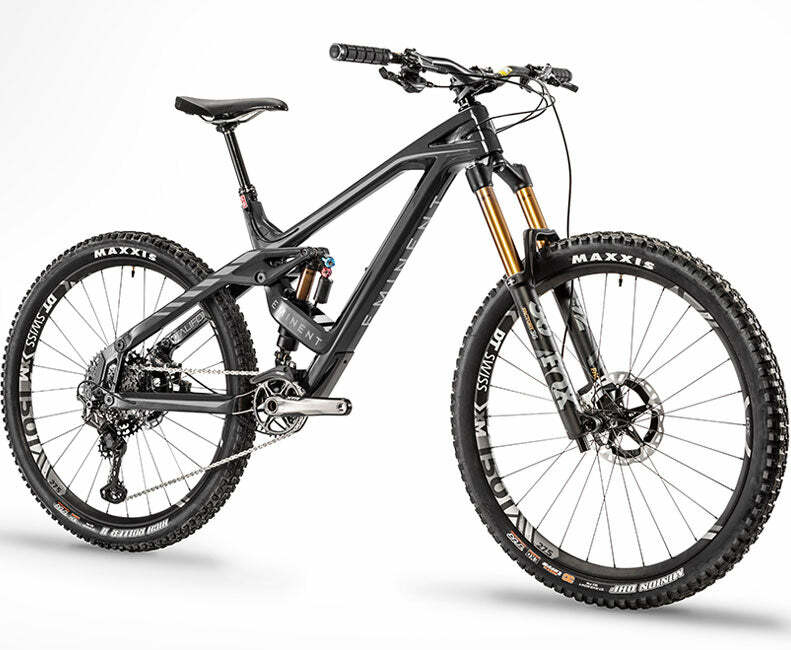 The Haste Pro carves through the most technical of single tracks and rock gardens at speeds leaving you to wonder how you ever rode anything else. 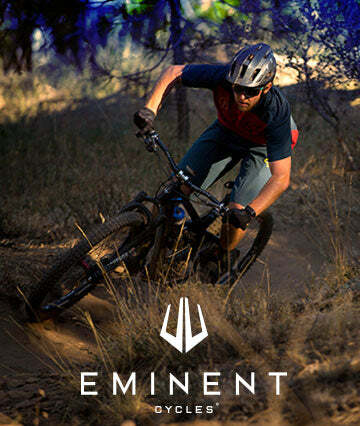 Unique attributes that separates an Eminent from the crowd. 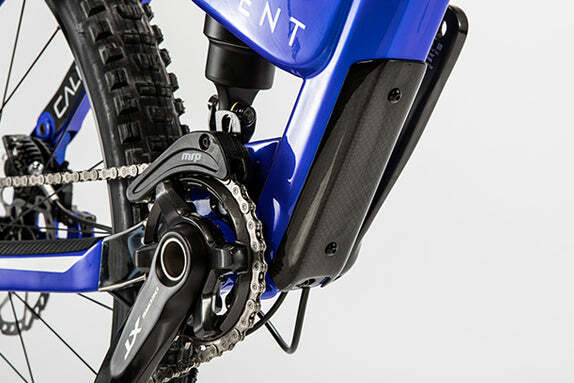 Proprietary blend of carbon to create a bike capable of meeting the rigors of enduro riding. 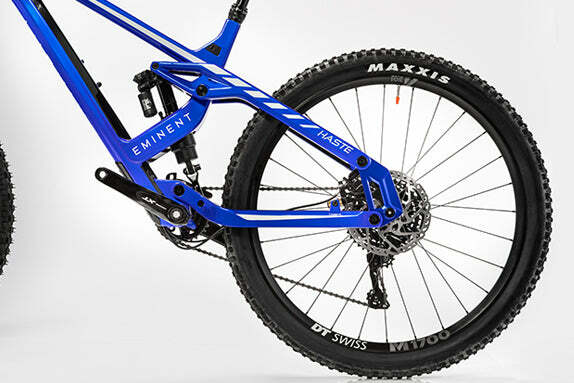 Floating brake, floating shock, and long rocker for quick response in all conditions. 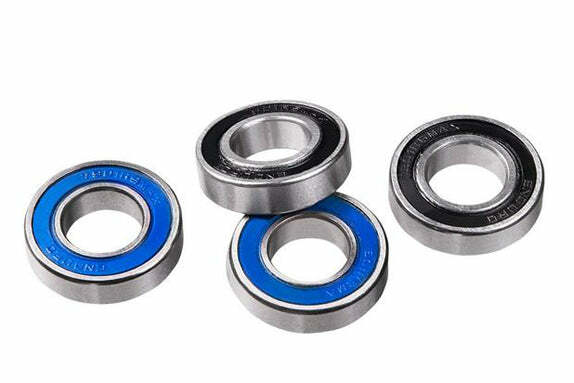 Bearings capable of side and vertical loading improve lateral stiffness and bearing durability. 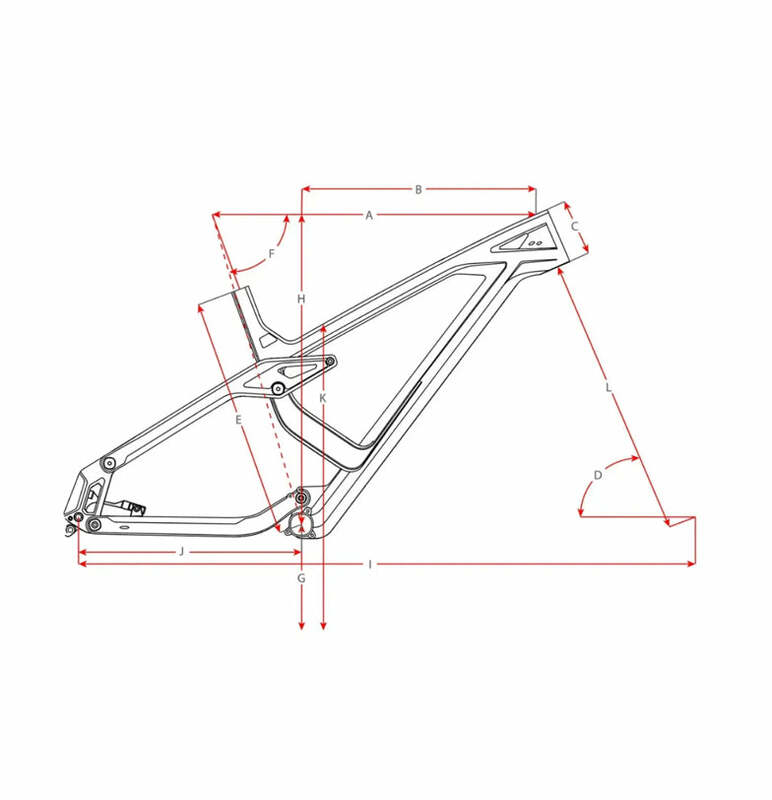 Carbon adds structure to ensure big hits don’t damage your frame. 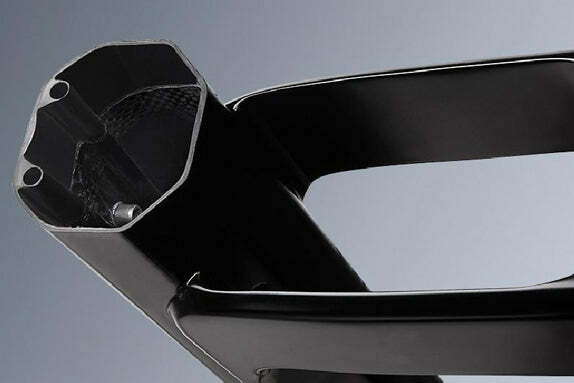 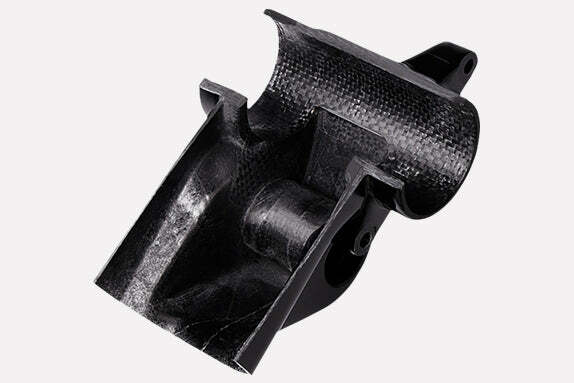 Internal carbon tubes for easy installation of cables and quiet operation while riding. 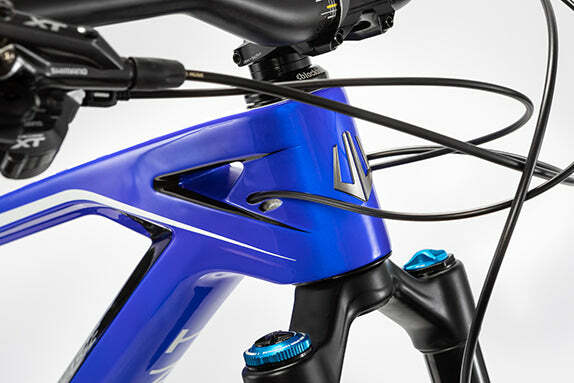 Removable headset for brand and adjustability options.